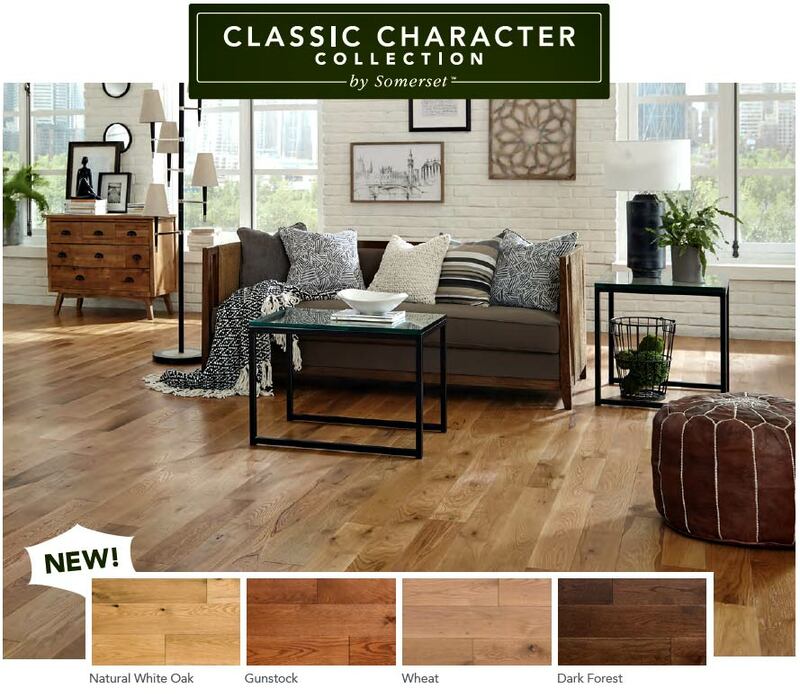 Somerset Classic Character: Now you have a choice between Solid or Engineered hardwood flooring with the same colors and styles. whether your sub-floor are concrete or wood you don’t need to go and shop around to find two different types of Hardwood with the same style and color. Somerset wood Flooring made it easy by offering Somerset Classic Character solid and solid plus collections made it easy by offering solid and engineered with same colors and spices. Somerset hardwood flooring are manufactured in the USA to the highest quality standards. When you buy Somerset, you can feel good about contributing to the growth of U.S. manufacturing and jobs.